Last month I had my very first lustrum: I just hit the five year mark at Mavention. It is awesome to see the transformation we have made over those five years and I never really expected it to go so quickly. Mavention has been around for nine years now, so I have being there for the better halve of it. It really is cool to see how over those years the company has changed and focus have shifted more and more to the cloud. When I started at Mavention Office 365 just started to get some traction (official release was 28 June 2011) so it was around a year old. Now almost everything we do is related to the Office 365. From a developers point of view I must admin that it is exciting having moved away from full trust code to the SharePoint Framework. Writing solutions using ‘modern’ web technologies has been a learning curve but that just makes it so much more fun. All in all the last five years have been a rollercoaster of awesomeness; from attending almost the MSIgnite, //Build, becoming an MVP writing a bunchload (over 150) blogposts and have done so many different projects for almost every type of customer. So I can’t wait what the next five years is going to be about. 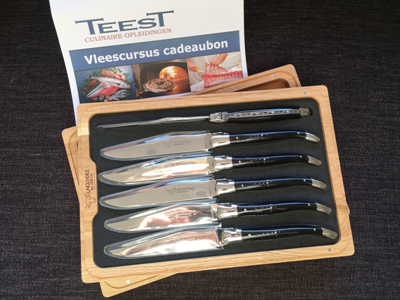 On top of that being part of Mavention for five years does mean goodies; as a surprise I got a sweet set of steak knives and a workshop on how to prepare meat. I cant stress enough how grateful I am for the presents as well as the gesture of getting someone presents for sticking around.